– Duct Mounted Odour Control System complete with side access for maintenance. – Modules and combinations to suit all extract airflows, and Activated Carbon contact times. The Airclean Kitchavent System is designed to control nuisance grease, smoke and odour discharge from commercial kitchens in line with DW 172 and the DEFRA standards for nuisance control from Kitchen Extract Systems. The Kitchavent system can be installed into any convenient position in the Kitchen Extract duct run from the Canopy to the Extract Fan. 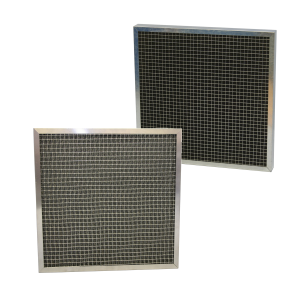 Various versions of the Kitchavent are available offering up to four stages of Kitchen Extract Filtration using Grease, Bag, HEPA, and Activated Carbon filters to clean up the air before being discharged. The unique design of the Kitchavent housing ensures that all air is treated for grease, smoke and odour prior to discharge ensuring that there is no air leakage past the filters within the unit. The modular system allows for all airflows ranging from 0.2m3/s in the smallest module up to 2.12m3/s in the largest unit, and then multiple units can be utilised to cater for any larger airflows. The Kitchavent System can be used to design systems that will meet any contact time required for odour control. Typically this is defined by local authority guidance, or advised by a systems designer (Typically 0.1 seconds to 0.8 seconds depending on cuisine and discharge point). The Kitchavent Grease, Odour and Smoke Control Unit is suitable for internal and external mounting, and is also available in a flat pack version for those tricky to reach situations. The Kitchavent Housing is manufactured from pre-coated steel, having plain external flanges of 40mm, access doors on both sides, and a painted finish. The Grease Filter is located in a grease trough to facilitate regular cleaning of the unit. 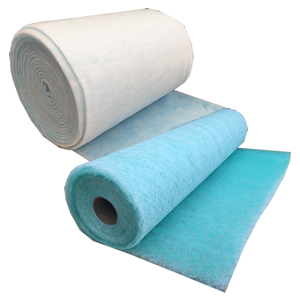 Air Filter Sealing faces and clips ensure that all air passes through the carbon and Hepa Filters capturing 90% of odours, and up to 99% of smoke generated from modern commercial kitchens. The simple design, along with a painted finish, ensures that the unit is non obtrusive, and discrete for installations where the unit is on show, or where sensitive planning issues exist. The Kitchavent is designed for horizontal airflow or vertically down airflow.